Having a dog is like having a child – you have to train them from an early age so that not only will they learn essential skills to make them fit within your own environment, but also with other dogs, people and animals they will get to meet during their daily walks. A well trained do will know to behave so as not to put himself in any kind of danger, be social and be a pleasure to live with. By learning things, they also get to enjoy a good amount of independence, giving them confidence and happiness in their life. In this article we show you how dog toys and other tools can make training your dog an enjoyable experience. While teaching and training techniques are a whole lot easier to master then people think, knowing where and how to start can be a challenge. So if you’re looking for the right information in how you can get your dog’s training off the ground this guide will surely come in handy for you. So, first things first: how do you actually get started in training your dog? If you’ll really think about it, this one is easy to answer. Understanding your dog’s basic needs should be the very first thing you have to do if you want to train them to become a better companion. This is true whether you’re a seasoned pet parent or a first timer, although, first-time pet parents will benefit more in doing a good amount of research about their pups. As different dogs have varied personalities, instincts, and behaviors based on their breed, you have to know what you can expect from your pooch to better cater to his needs and anticipate the common personality traits that she will exhibit. 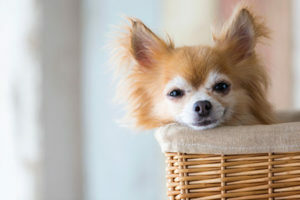 For example, Chihuahuas are more territorial and are highly likely to bark while Golden Retrievers are known to be overwhelmingly energetic and can be prone to running away. While dogs have their individual personalities, sometimes their breed can also determine their behaviors, so you should do yourself a favor and get to know these things so you can be prepared with whatever behavior your pup can exhibit. Aside from their personalities, you should also be well aware of what their bodies require. Proper nutrition is essential to have a happy and well-behaved pooch, so you have to know what are the health issues your pet can possibly have so you can be able to avoid them by making sure that you’re feeding your pup correctly and that you’re giving them the right amount of love and care they need. Making sure that their living environment suits their needs is also a must. As many experts put it, the home should be more than a shelter for your pup. It should also feel safe for them so they can thrive and live happily without any anxieties. They need their own space to call their own as these are territorial creatures. They have certain requirements for their living conditions and you have to be able to provide for them. Nurturing your dog, in general, is an important part of being a pet parent, so you have to be very ready to take on the role. It’s a commitment having to ensure that your pet is happy and healthy and to achieve these, you have to know what to do. Researching will help you go a long way, so make sure to do lots of this for the best results. Aside from your pup’s meals, the next most important thing you need to get them are treats. These items are basically snacks that you can use as their rewards for doing what you want them to do and behaving nicely. They’re the best training tools there is, so you have to have a lot of them if you’re planning to teach your pooch a number of things. When buying dog treats, it’s best if you have a nice variety. Some should be used for teaching basic commands like sitting down and lying down. You should also get a few more special ones that you will only use when trying to get rid of “bad behaviors” and trickier techniques. Just be careful in giving them out, though, as they’re meant to be special “treats” for your pooch and shouldn’t be served as their regular meals. They should also be healthy, so you won’t be causing a health problem for your pooch. Dogs are den animals and are naturally territorial so it’s important to give them a space that they can claim to be theirs. Although some people don’t find crates appealing, thinking that “caging” pups are inhumane, this isn’t exactly true. Your dog actually needs one to have their own haven in your home, giving them a refuge in times of duress. It can make give them a safe spot in a busy household, letting them relax and have some necessary “me” time. Not a lot of experts love the clicker, but as they can prove to be some of the most effective tools for training your pet, they can really come in handy for a lot of pet owners. Make sure to weigh your options about this one first, though, so you can be sure if it will be a good match for how you intend to train your pooch. In some countries, it’s mandatory to make pet dogs wear a collar. It should contain their name, the owner’s name, and address. Some even include their contact numbers and rabies vaccination info. This makes it easier to return the pup to their loving families, ensuring the safety of the pet from the get go. If you don’t live in a country with such regulations, it will still come in handy to have such information readily available in your pet. A harness, on the other hand, is another accessory you can have your pet wear. It’s gaining popularity as of late as a better option to collars as they can be a safer option for pets who has the tendency to pull on their leash as they won’t choke your pooch. They’re also proven to do a good job in calming dogs in high-stress environments, so you might also want to consider getting some. Dog leashes are a must as lots of cities require such accessories when walking your dog. It’s also a safety item and an essential training tool that will teach your pet to come to you and be better behaved while out and about. This accessory may provide ease of access to treats for you, but it might also be a distraction to your dog, so tread with care and get to know this item first before getting one. These items can keep your pooch entertained and stimulated as they get to work first before getting a nice treat. However, you should still control their access to it and never let it replace regular exercise to ensure that it will get its desired results. 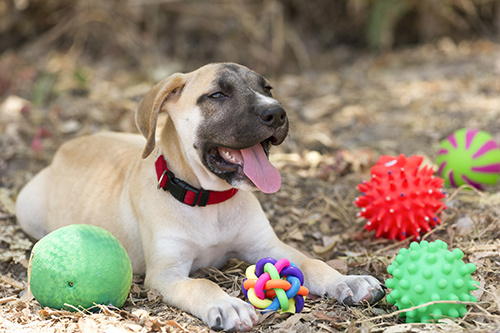 These are absolute essentials for your pup as it can help relieve them from stress and boredom. Did you really think you were training your dog? First and foremost, a dog needs his parent to be well trained him or herself if the two of them are to have a harmonious relationship. In that context, books and videos, the right kind of them of course, will bring the answers to some of the questions you will inevitably be faced with and can help you to learn and understand better learn the basics of being a better pet parent through instructional materials. By getting trained, dogs learn skills that can make a huge difference between a well trained do and one who is unruly. Dog training is not an exact science where one solution fits all circumstances. Some breeds react differently than others, and even within the same breed, dogs (just like their human friends) have their own disctinct personalities which will need to be accounted for. It’s a on hand experience during which you and your dog will underand how to communicate with each other. The more effort and patience you put towards that goal, the more receptive you and your dog will become. A well trained dog is not so much an animal that learns to do “tricks”, though these highly intelligent animales can be taught to learn all kinds of fun stuff. A well trained dog is an animal who lives in harmony with his or her owner, understands him, trusts her. 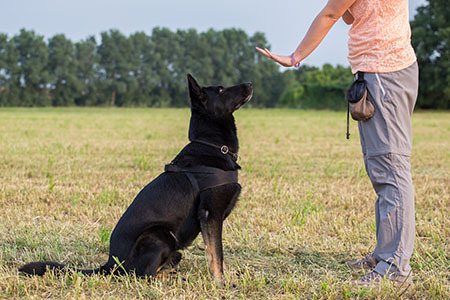 Trust is the ultimate tool both you and your dog will need to complete this exciting learning experience. Trust, patience, effort, determination, all the qualities needed to become at one with one another.